Can a car really handle 5,000 brake horsepower (bhp) without getting ripped in half? Let’s take a look at the Devel Sixteen. 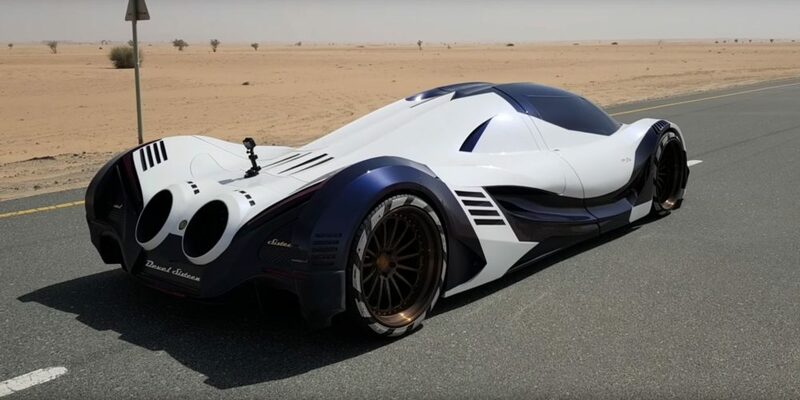 The Devel Sixteen is a supercar built in Dubai. It was unveiled at the Dubai Auto Show back in 2013. The official production model of this supercar with unbelievable claims of power and speed finally made its long-awaited debut at the 2017 Dubai Auto Show. Now, Devel Sixteen claims it has constructed the world’s first 5000-bhp supercar that can go 320 mph. The claim sounds as if it is nothing more than a marketing gimmick. The $1.6 million Hennessey Venom F5, which is headed for its world debut at the 2018 Geneva Motor Show, nets 1,600 hp. Hennessey plans to attempt a speed record of more than 300 mph. But Devel Sixteen has just released a short video of a prototype that its makers claim is running at only 20 percent throttle. It’s a prototype only, which cannot go 300 mph. The car is still a work in progress.